Two famous and fabled events have been adjusted to be even more attractive to racers and race fans at Summit Motorsports Park in Norwalk, Ohio. The $40 Grand Nationals presented by Hughes Performance, formerly the $10 Grand Nationals which was in its 27th year, is set for Aug. 30-Sept. 1, 2019. The total payout for the event is an enticing $262,875. On Friday, the payout is $72,625 with $15,000 to win, while on Saturday, the payout is $110,125 with $40,000 to win and on Sunday, the payout is $80,125 with $20,000 to win. Buy-backs will be available for the first round of eliminations for $150, and payouts begin in the third round of eliminations. The number of entries will be limited to 425 and the three-day fee is $600 for car and driver, $50 for adult non-drivers and $10 for children ages 6-12. The entry fee can be split into three payments of $200 each. The 23rd Annual No Box Bonanza presented by Injector Experts is set for Sept. 27-29, 2019. The total payout for the event is an alluring $131,100. On Friday, the payout is $36,200 with $7,500 to win, while on Saturday, the payout is $54,950 with $20,000 to win and on Sunday, the payout is $39,950 with $10,000 to win. The number of entries will be limited to 425 and the three-day entry fee is $300 for car and driver, $50 for adult non-drivers and $10 for children ages 6-12. The entry fee can be split into three payments of $100 each. Both events will be contested on the eighth-mile, and popular products from a host of supportive sponsors will be given away on both weekends. Drivers can begin purchasing race entries for the $40 Grand Nationals presented by Hughes Performance and the 23rd Annual No Box Bonanza presented by Injector Experts 9 a.m.-6 p.m. Saturday, Jan. 19, 2019 in the registration area in the lobby of the Kalahari Ballroom at Kalahari Resorts and Conventions in Sandusky, Ohio, where Summit Motorsports Park’s 45th Annual Edelbrock Banquet of Champions will be held that night. Summit Motorsports Park is at 1300 State Route 18, Norwalk, Ohio. For information, please call 419-668-5555 or visit www.summitmotorsportspark.com. About Summit Motorsports Park As a major motorsports venue, Summit Motorsports Park welcomes more than 500,000 people each year for sportsman and professional drag racing and is home to the Summit Racing Equipment NHRA Nationals. Located on more than 225 acres and surrounded by theme parks and water parks, it has been named Track of the Year 19 times by the NHRA, NMCA and IHRA, and its annual economic impact to the community has been determined to be more than $100 million. 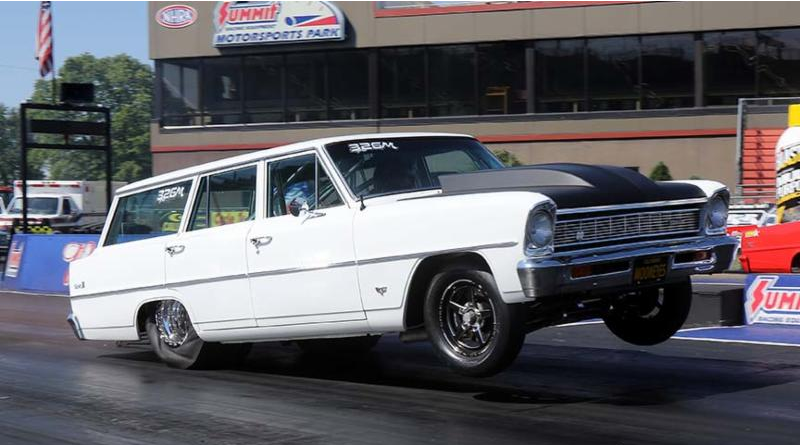 DragChamp is your source for big money bracket racing news and drag race results.